The Haby Goddess: Term 3 E-course is about to open! Term 3 E-course is about to open! If you missed out on the last one, now is your chance to jump on board! 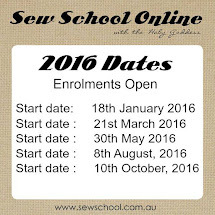 I'm really excited about offering the Sewing School E-course again this term. Enrolments are about to open so we're ready to go at the beginning of August. It's designed exclusively for beginner sewers and is 100% technique focused. It’s starts from the start and doesn’t miss a thing. All tutorials are in the one place - no jumping from site to site looking for the info you need. Everything is in the easy to follow format you’ve come to know & expect from The Haby Goddess tutorials. 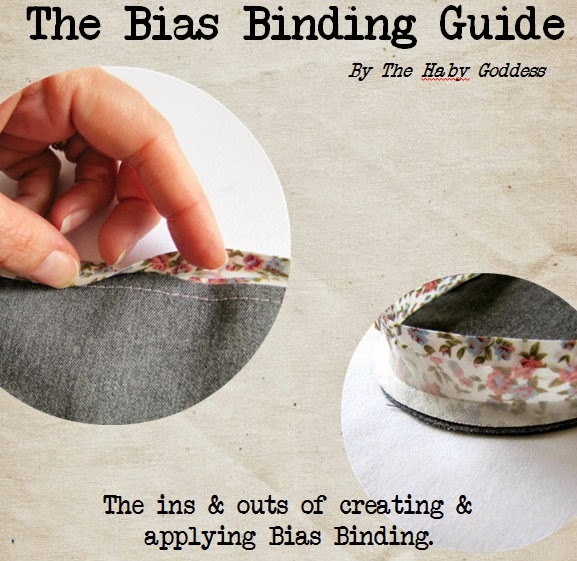 All lessons are a downloadable pdf that you can print out and have beside you as you sew. An e-course is convenient and cheaper then attending classes. You won’t have to find a sitter or find a class that suits a convenient time in your schedule. Work at your own pace at a time that suits YOU. No long distances to travel. You can refer to the online classes over and over again. I will be available in this closed website to answer all your questions and you will also have the support of the other students. Are you ready to go back to school and would like to know more? Just click here and send with Sew School in the subject line, your email details will be received. I’ll send you all the juicy details within the next few days!